Linden flowers (and bract – the leaf-like structure attached to the flowers) make a beautiful and delicate tea that eases tension and anxiety and has an overall calming effect to the body, making it an excellent evening tea to aid sleep . It can also be used to ease muscle tension, headaches and menstrual pain. 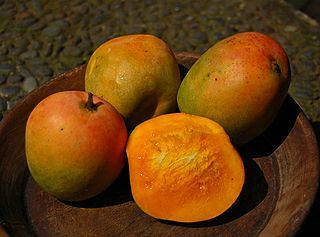 It has an affinity for the heart and is an amazing heart tonic on all levels. It lowers blood pressure and can help arteriosclerosis and works well in combination with Hawthorn (Crataegus spp.) for heart conditions. Emotionally, the two combined can ease heartache and help heal a broken heart. 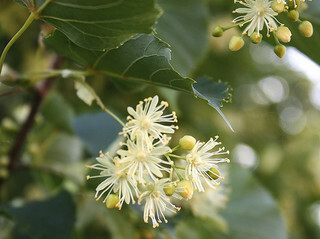 Traditionally, Linden was used to treat epilepsy and convulsions. If possible, make the linden tea the night before, allowing it to infuse overnight. Strain and combine with the lemonade in a large pitcher. Add the strawberries; if wanting a stronger strawberry flavor fill a 1/4 of the pitcher with slices. Add ice and serve. Place your fresh linden flowers in a glass jar. While the bract is also traditionally used for medicinal purposes, using only the fresh flowers will make a stronger flavored honey. Cover with honey. Make sure that the flowers are completely submerged in honey. The flowers will tend to sit at the top for the first few days. If after a few days, they are still not submerged, add more honey until they are covered. Allow to sit for 2-6 weeks and use as desired. The flowers will become candied and are delicious on their own. If you wish to remove the flowers after infusing, then place the flowers in a make-shift tea bag made out of cheesecloth and place in jar (with the edges sticking out of the top so it will be easy to remove later). Cover with honey. After it has infused, lightly warm the honey (do not over heat) until it has a more liquid consistency and remove the “tea bag”. For a lighter flavored honey, cut the amount of flowers used in half. For more delicious ways to use herbs in food, check out Erin Smith’s Herbal Kitchen program in Boulder on July 17th. 1 Bar spoon of house grapefruit bitters.